Stanislav Ondrák spol.s r.o. 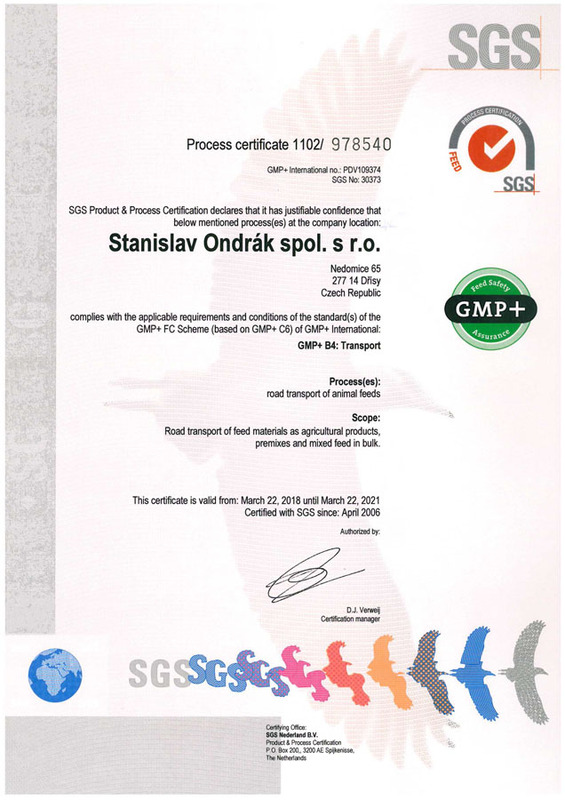 company is a proud holder of GMP+ B4 certificate for the road transport of feeds and feed products (the certificate is valid until March 2021) and also a holder of ISO 9001:2015 quality management system certificate (valid until April 2019). 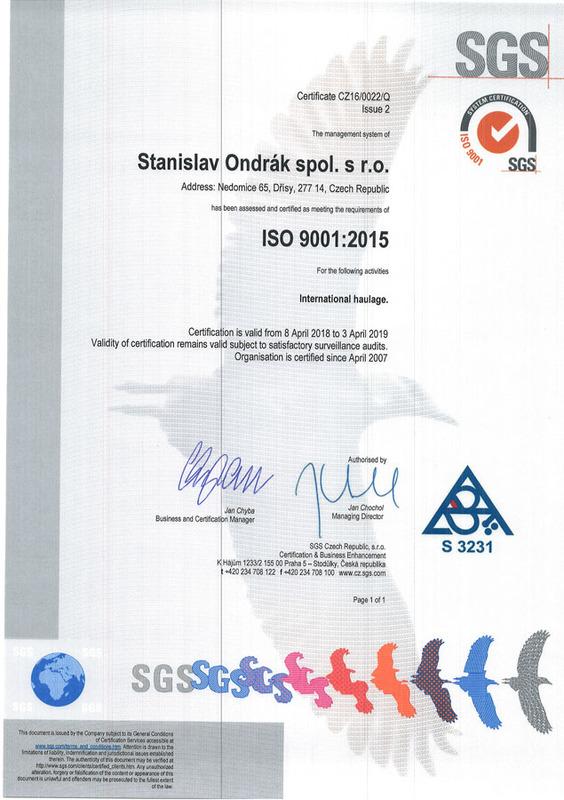 Both certifications were carried out by SGS Czech Republic, s.r.o.